Summer is well and truly on its way but be watchful and keep an eye on the weather forecast; the occasional frost can still occur at this time of year. Do you know the difference between a rambling rose and a climbing rose? Although there are exceptions, rambling roses tend to flower just once but have an enormous impact because of a mass of small flowers. 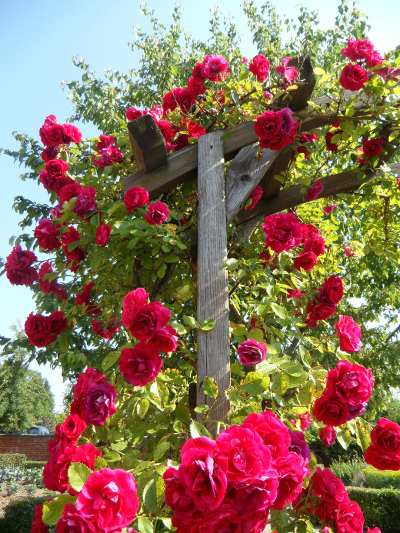 The climbing rose is more upright than a rambling rose, and in general, has larger blooms and continues to flower throughout summer and autumn.